Kent & Stowe offers a comprehensive range of UK designed, high-quality garden tools covering all aspects of digging, cultivating, cutting and tidying, as well as specialist lawn care, topiary, weeding, lighter tools and kids. 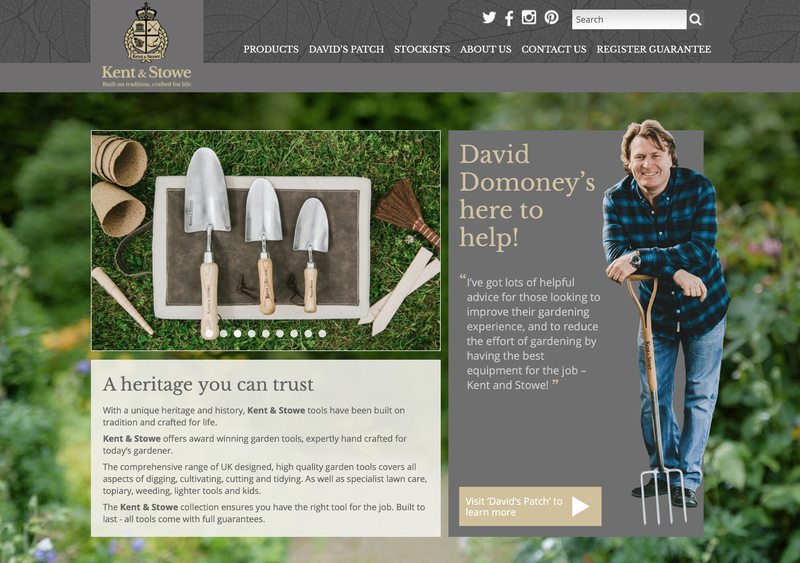 Supreme recently took over the Kent & Stowe website, built on Kentico CMS, for long-standing client Crest Garden. Without changing the existing structure dramatically, the first step has been to revamp the home page, promoting their brand ambassador – TV’s David Domoney – and his blog. 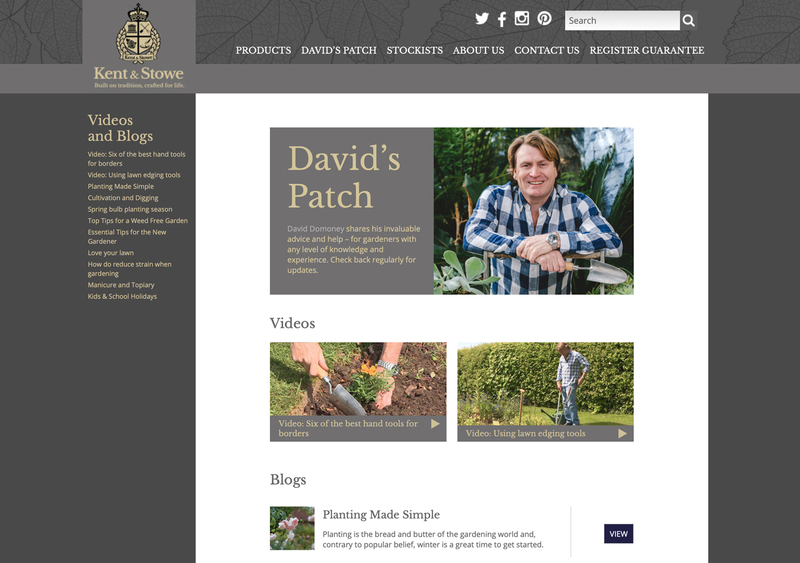 The blog section itself, entitled ‘David’s Patch’ was also created, featuring a mix of videos and articles to help gardeners of all standards make the best of their own ‘patch’ using the comprehensive range of Kent & Stowe tools.